Gulls tucking in to discarded food or flocking around landfills has become a familiar sight. 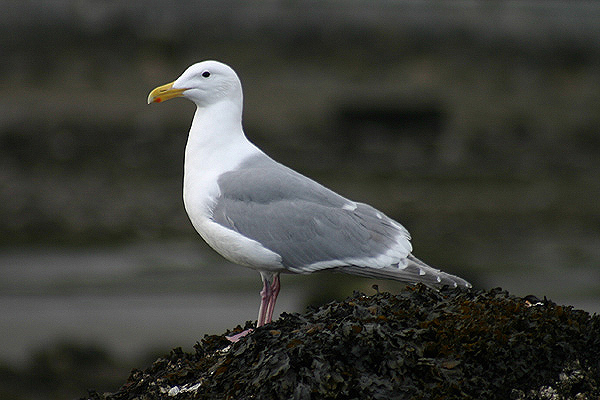 Now data from the Pacific north-west of Canada spanning 149 years has shown that substituting fish with less nutritious food is linked to population declines and lower fertility in glaucous-winged gulls (Larus glaucescens) a close relative of the herring and lesser black-backed gull. Louise Blight from the University of British Columbia and her colleagues looked at 270 gulls’ feather samples from museums, taken between 1860 and 2009. Using the ratios of heavy isotopes of carbon and nitrogen, the team pieced together the dietary habits of these seabirds, all of which had lived in the Salish Sea region off the coast of south-western Canada and the north-western USA. 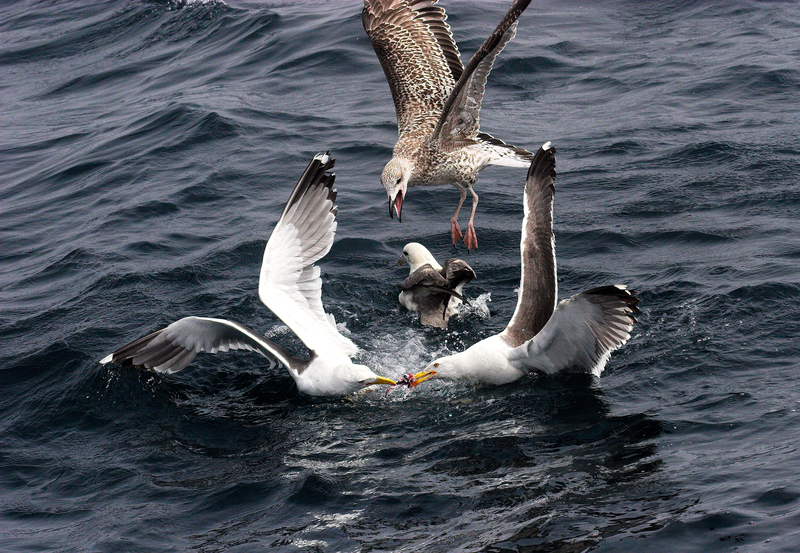 They found a decline in heavier carbon isotopes, indicating that the gulls shifted from a fishy source of carbon to a terrestrial source. A decline in heavier nitrogen isotopes implied that their diets had also shifted to a less nutritious staple; most likely lower marine invertebrates and corn-based organic food waste. This change in diet coincided with over-fishing in the region in the early 1900s, after which the gull population dropped. “The stable isotope work shows a decrease of fish in diet over the time frame where forage fishes have declined”, says Blight. Overfishing has meant that one of the gulls’ favourite fish species, the highly nutritious eulachon (a smelt species), is now considered threatened in the Salish Sea area. Another former staple, the Pacific herring, no longer forms the large aggregations that gulls once feasted on. But between 1960 and 1986, the gull population increased, perhaps because more readily available rubbish, although less nutritious than fish, was helping to support the population. “Our field observations show that many pairs are feeding their chicks on sand lance and herring, and that some pairs feed their chicks on things like chicken or French fries,” says Blight. This shift to a poor-quality, low-protein diet could be linked to reduced reproductive success in the gulls. A previous study by Blight showed that gulls have been producing smaller and fewer eggs over the last few decades, which she believes is consistent with a decline in diet quality around egg production time in the early spring. “Rarely will you visit these garbage dumps without seeing multiple gull species. You will even see them at transfer stations or intermediate garbage staging areas,” says Joe Gaydos, Director and Chief Scientist at the SeaDoc Society, a Salish Sea research organisation based in Eastsound, Washington. The glaucous-winged gull is a generalist feeder, meaning it can survive on a wide range of different food sources. While there is some evidence that switching to a trashy diet has helped gulls through tough times, overall, the data reveals a worrying decline in numbers. “Their populations should not decline as quickly as specialist feeders. The fact that generalists like gulls could be in decline is definitely worrisome,” says Gaydos. 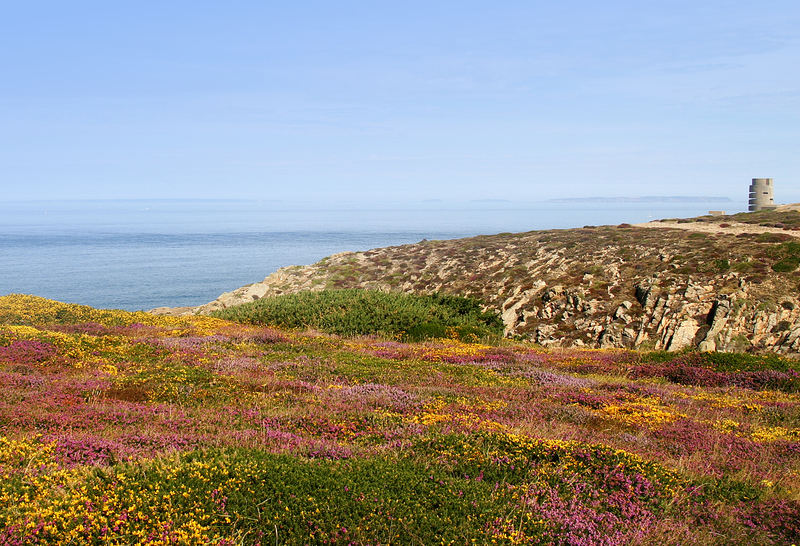 Paul Veron heads a Guernsey-based project (website and Birds On The Edge report) looking at long-term ecology of gulls in the Channel Islands. 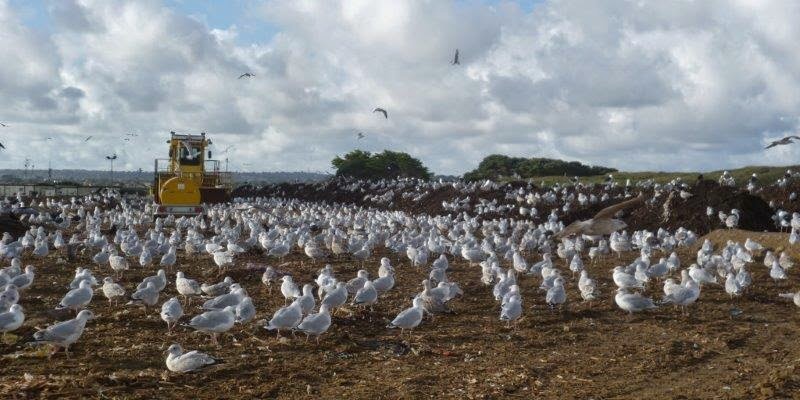 Paul is particularly looking at what will happen when the Chouet Landfill site is closed and the gulls across our Islands lose access to a major part of their food supply now that there are so few fish available to them.